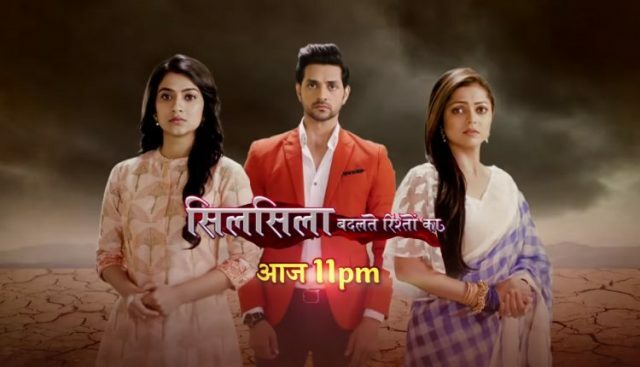 In the latest episode of Silsila Badalte Rishton Ka 13th November 2018, Pari invited for Mauli’s Diwali dinner. Mauli and Ishaan struggle with Mishti to give him the medicine. She complains to Mishti to got even injection with Kunal. She has too much fear of the injection. Mishti said that he is really so smart, and they did all his work really playfully. Kunal calls to Ishaan for asking about Mishti. Ishaan said that Mishti is not having her medicine. Kunal agrees to solve their problem. He narrates a beautiful story to Mishti, and she agrees to eat the medicine at once. Mauli was impressed and he asks Ishaan to invite this doctor and Pari for Diwali dinner. Ishaan invites Kunal to join them in dinner, and she said to him that her mother of this house cooks commendable dishes. Kunal gives up resistance and agrees to be their guest. Radhika was preparing tea in the kitchen. She was disturbed as she thinks that it was surely Kunal. He has returned from the US. Dida comes there for asking for tea. Mauli also notices that Mamma was soo tensed. Dida spits the tea asking that if she mixed the salt in the teacup instead of sugar. Tears fell off from the Radhika’s eyes and she said that he has returned. Kunal is in the same city. She saw that there was is in the temple. Dida said that it must be someone else. Both were emotional. Mamma says that he did not see her. Dida asks that what would happen to Mauli if she finds out about him. Mamma says that she has a right to be happy, Kunal is her son after all. Dida takes her promise that she would not tell Mauli. Precap: Mauli goes to receive the Pari’s parents. Kunal spots that Mauli walk towards the parking.